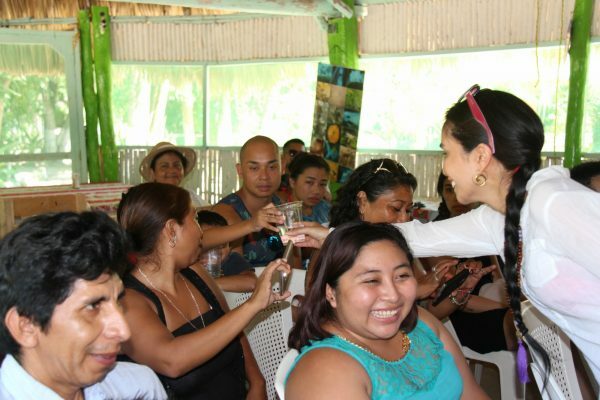 Life Source Retreats created a “Skin to Soul Retreat” featuring Dr. Tess Mauricio and Marla Maples August 7-12, 2016 which included an element of May’s “Journey to the Heart & Sacred Waters Retreat”. 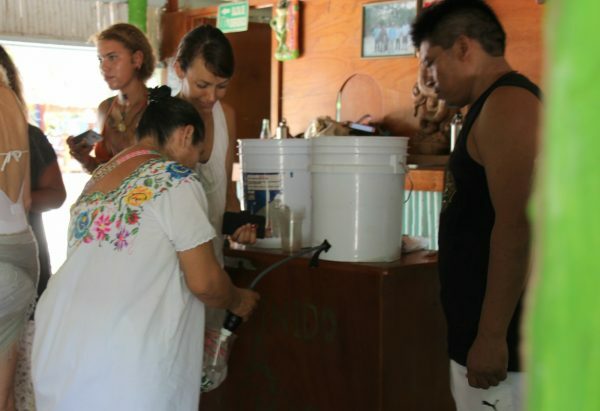 Inspired by The Waterbearers and utilizing filters from Waves for Water, retreat attendees did a water filter distribution and demonstration at the Dos Palmas community. 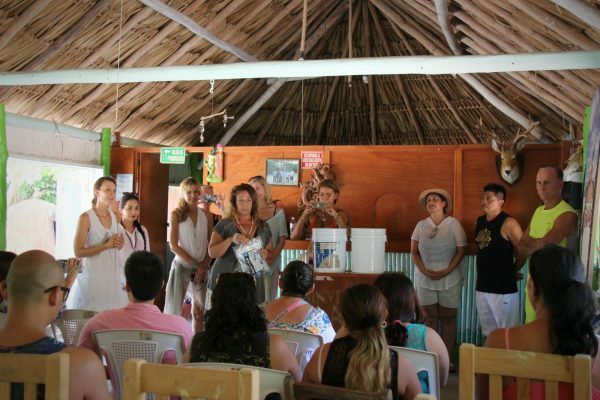 This local sacred Cenote is cared for by 5 families. 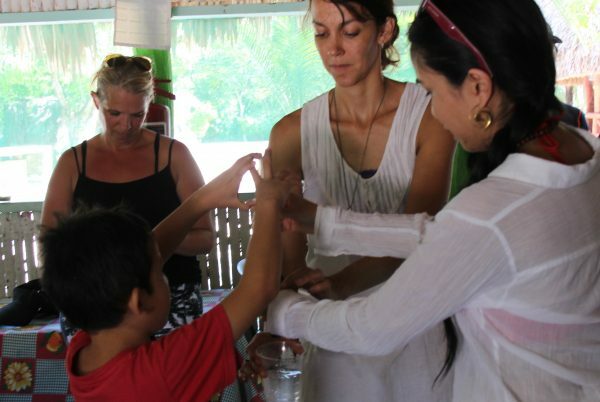 They have their own school, community center, and scientific research are, and were so relieved to now have better access to clean water because of the filters and faucet adapters LSR provided, thus promoting their self sustainability and community health.